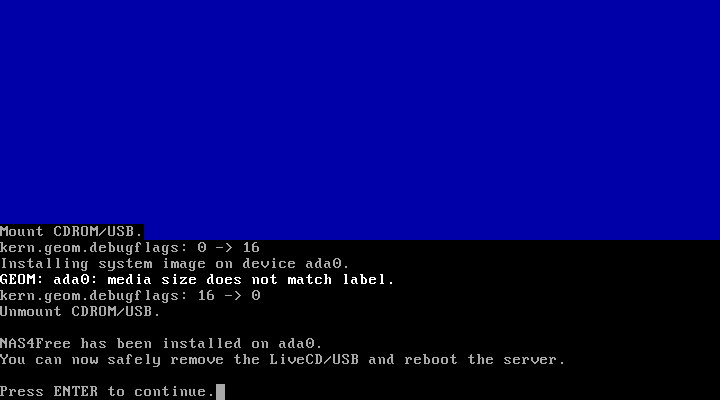 This document is an gallery of images of installing Nas4Free as a Xen Guest for the purposes of familisation. 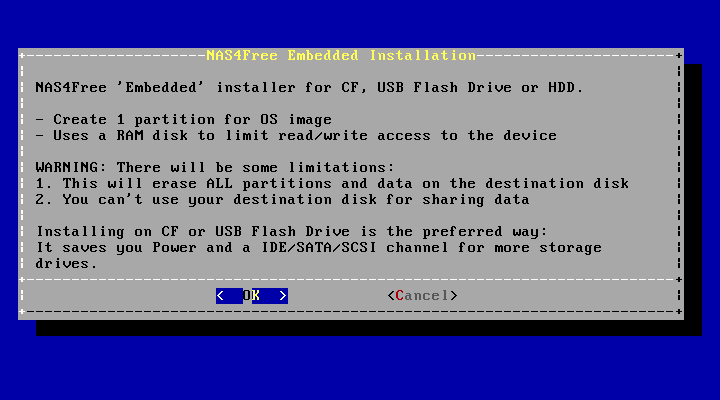 The NAS4Free ISO is used to install software as an embedded appliance on a 1GB disk (it could have been smaller, but it was the smallest LVM volume I had around). 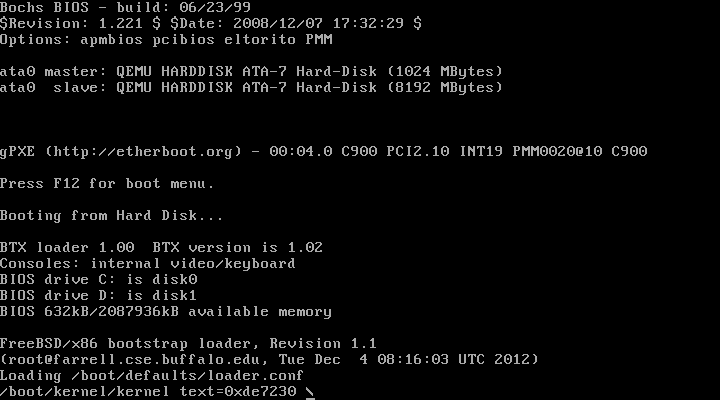 Boot the system. The live ISO can also be used for installation. 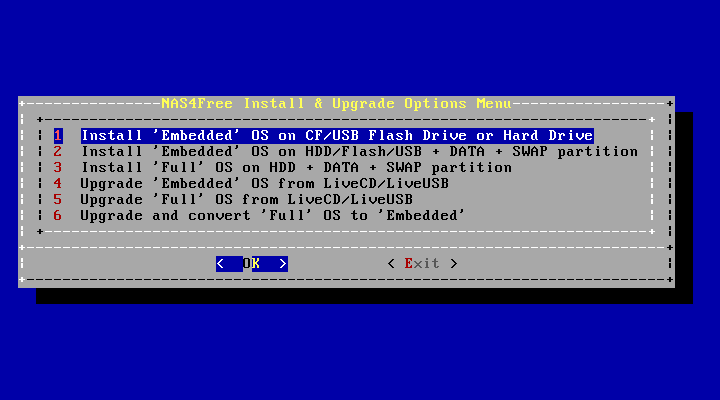 Select option "9) Install/Upgrade NAS4Free from LiveCD/LiveUSB"
Select "1) Install 'embedded' OS"
The platform is installed (it takes less than a minute). No further user input is required. 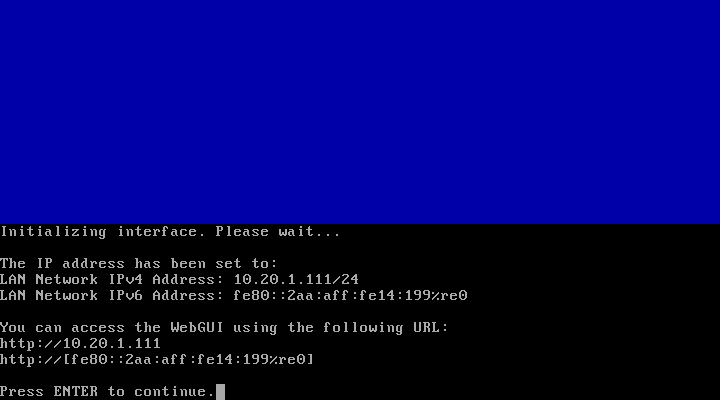 I found the web UI wasn't available until after a reboot. Then it was ready to go.